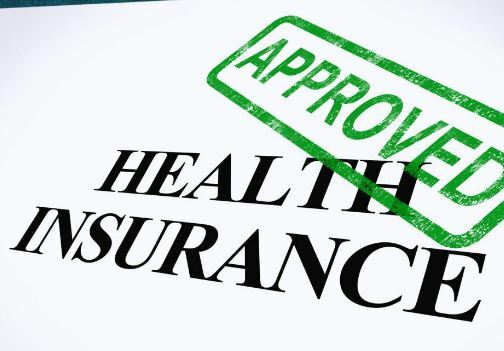 How much is Health Insurance in the USA – If you are interested in living in the US, you may have heard that health care in the United States is very expensive, and medical expenses are exorbitant. This subject became even more well-known with the recent discussions of a more accessible health system, promoted in the previous administration of the government and currently fought by the new executive power. The truth is that the entire US health system is quite different from the one we know here in Brazil and, overall, it is considered significantly more expensive. Like it or not, if you intend to live in the US, you need to adapt to the local reality and understand what the rules and terms are usually hidden behind the systems and plans offered. Is there a public health system? Is health care mandate in the US? No, there is no institutionalized public health system in the United States, as we know it here. There everything is established through plans or private use, and there are even free or low-cost services in some places, but these are private initiatives, usually philanthropic, and not part of the state public system. Depending on the state, you may be fined for the entire family if you do not have a health plan in the US. In any case, the cost of private access to health care there is so expensive that even if it were not legally required, it would be imperative to resort to one in order not to get in the way of needing a doctor. With the first questions answered, it is time to address health insurance in the United States itself. There are basically two ways to access these plans. The first is the business plan. A lot of US companies establish some kind of corporate health plan – as a kind of covenant. In this case, the company itself sets the rules and limits and pays in full or a significant part of the plan. Generally, it is the option that workers turn to, as this greatly reduces health costs. The disadvantage, in this case, is that the terms are defined by the employer, and may offer very restricted access to medical services. The other option is to individually contract a health plan in the United States. It is generally a more expensive option, but it allows you to determine exactly which contract you want, what the rules are, and what your budget is for this type of situation. Premium is the monthly fee you need to pay for your plan. In general, when the plan is business, the premium – or part of it – is paid by the company itself. If you need to use the individual plan, this is the fixed amount you will have to maintain the plan. Insurance does not always result in the payment of all your medical expenses. That is what Co-Pay and Co-Insurance mean in a health plan in the United States. Co-Pay is how much you will pay next to the plan for each consultation and use of the plan. Co-Insurance is the percentage over each expense that is levied on you. If you have a Co-Insurance of 20% and you resort to a thousand-dollar treatment, that means the plan will pay you $ 800 and you will have to pay the remaining 200. The deductible is a kind of franchise value. If you hire a $ 3,000 deductible health plan, that means your plan only goes into effect after youve spent $ 3,000 over that year. This is a way to avoid exorbitant spending, but make insurance a bit more affordable. This is the limit you will spend on your franchise. Imagine that you have the $ 3,000 deductible, a 20% Co-Insurance, and an Out of Pocket Maximum of $ 5,000. After you spend $ 3,000, you are still responsible for paying 20% of the costs, provided that this amount does not exceed a maximum of $ 5,000. If you need to undergo a serious treatment of 100 thousand dollars, you will not pay the 20 thousand corresponding to your Co-Insurance, but the annual limit of 5 thousand, only. Previous post What causes Ridges in Fingernails? Next post How Long does a Sprained Ankle take to Heal?